We are a Authorized SportsStuff Dealer!! 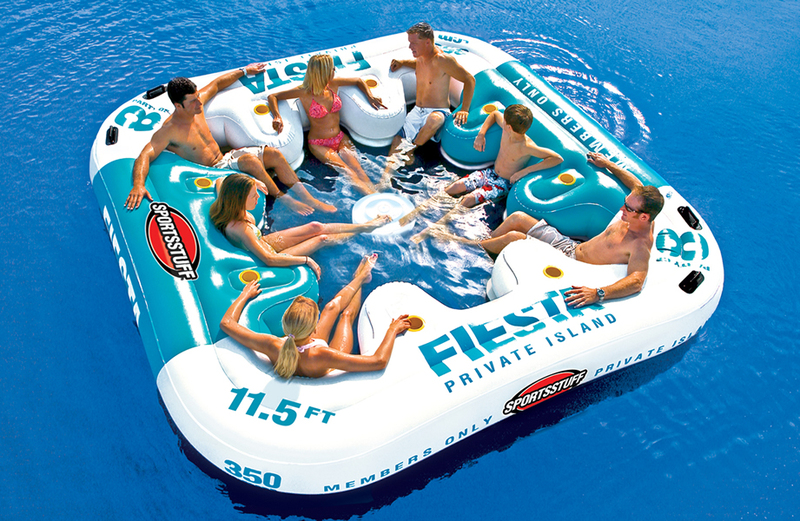 The Fiesta Island is one of the best selling Island Floats on the Market today!! You will love the SportsStuff Fiesta Island. The Fiesta Island is fun for the entire family and friends. New and improved construction! The Fiesta Island now includes a central air chamber for extra support. Party in the water, party off the water! The Fiesta Island has room for 8 with cup holders all around and a comfortable mesh bottom surface. Sitting on the mesh you can enjoy the inflated contoured backrests in the water, or sit on the floating platform portion and just let your toes go for a dip. The Fiesta Island is a party and anything goes! The SportsStuff Fiesta Island is a blast for Summer parties. 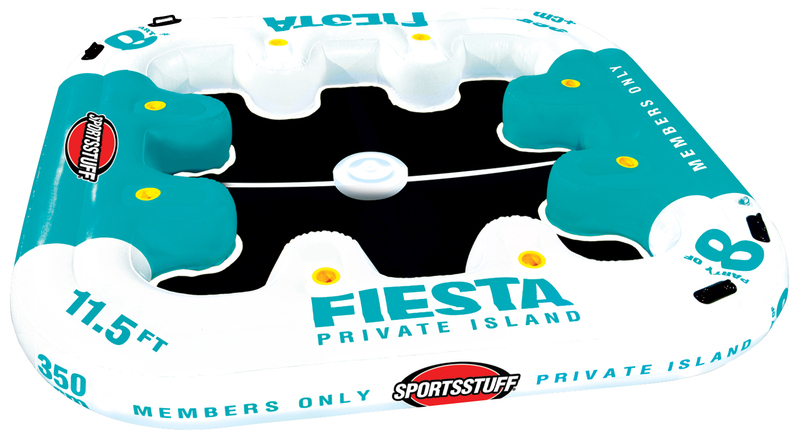 Invite 8 of your friends to come and relax in the sportsstuff fiesta private island. Dont worry about the drinks because the fiesta island has plenty of cup holders. Dip your feet into the water while sitting on the side of the SportsStuff Fiesta Island or sit right down and get wet in the Fiesta Island mesh water center. Everyone loves a day on the water with the Sportsstuff fiesta island. It even has a free floating beverage cooler!!! Includes Free 16 qt Floating Inflatable Cooler and Anchor Bag!! The SportsStuff Fiesta Island is brand new with the 1 Year SportsStuff manufacturer warranty. You will love your day on the sportsstuff fiesta island. SportsStuff Fiesta Island Manufacturer Website. See the SportsStuff Fiesta Island 54-2010 in ACTION! SportsStuff Fiesta Island Warranty Info Click Here! See the SportsStuff Fiesta Island in ACTION!